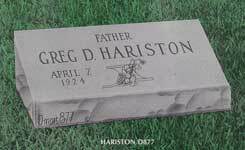 Markers are smaller than upright monuments. 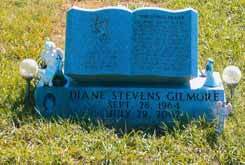 Ohio Valley Memorials carry 3 different types of markers; Grass Marker, Slant Marker, and Bevel Marker. 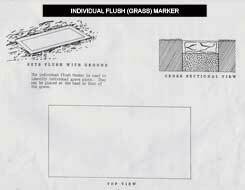 Grass Markers (also known as: Flush, Flat or Lawn-level Markers) are set flush to the ground. 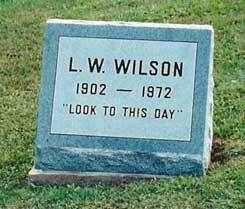 They are often used to identify individual grave plots. 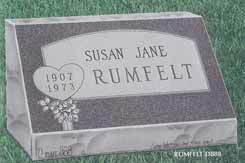 They may be put at the head or the foot of a grave. 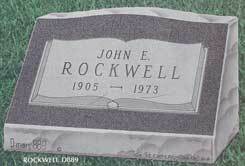 Slant Markers resemble upright headstones but are thicker and shorter. They have a wide base that angles up to a tapered top. 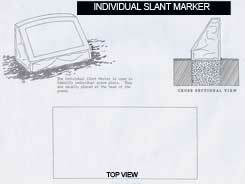 Usually slant markers are mounted on a granite base, but can also be set on a concrete base. 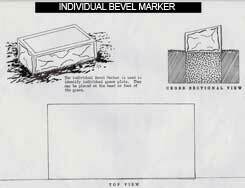 Bevel Markers (also known as pillow markers), are similar to Slant Markers but are not as steeply angled. The back edge is raised two to four inches higher than the front edge.